Was it mass suicide or mass murder? 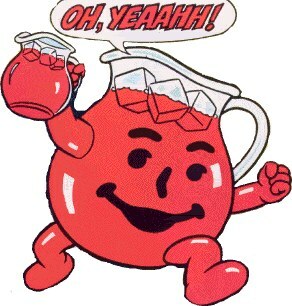 Whichever, it changed the meaning of drinking Kool Aid. Before this event, drinking kool aid meant having a cold, wet summer time treat usually for kids. Since then, drinking the kool aid means to blindly accept and “swallow” some philosophy or someone else’s direction. “Don’t drink the kool Aid” means to be skeptical and guarded. Otherwise, you might be deceived and drink some poisonous stuff. So here we are with our guarded and skeptical selves holding back commitment from our employers, our suppliers, our personal relationships, our governments, and every other establishment we are connected with. I can remember very well 1978 and the change in commitment that happened then. I am sometimes very reluctant to “buy” ideas, endorsements, directions, etc. But should I be that skeptical? Should I not do my homework and due diligence but then put my whole energy into something when I finally believe it? Should I not drink the Kool Aid? There is a big price to pay for sitting on the fence. Making no commitment or a tepid commitment weakens myself and the organizations to whom I make commitments to. Imagine a whole company or family where everyone is just mildly committed to coming in. (Maybe you don’t have to imagine, maybe you see it daily!) Withholding our commitment discourages our team members. It causes poor customer service. It makes us less valuable. Now before I get too preachy here let me say that there are definitely some people/organizations that you should NOT commit to. Hitler, Enron, and Jim Jones come to mind easily. And to be fair, many of their followers saw the light and abandoned ship before the slaughter. Being thoughtful and careful about who you commit to is prudent. But we are in far greater danger of doing damage by our lack of commitment than we are of being deceived. Think about this: When we fail to give our whole endorsement to someone we are either exposing our lack of courage or our lack of judgement. We need to play devil’s advocate for so long, then give them our whole commitment for that part of our life. We need to drink the Kool Aid. What I mean by drinking the Kool Aid really means acting. Act as if your spouse is prettier, nicer, smarter, and more loving than they really are. Act as if your leaders are wiser, fairer, and more altruistic than you think. Act like the new policy is going to be great even if you have a few misgivings. Now you really believe the new policy has some flaws and might fail, but believe it in anyway – at least to other people. At least until you decide to leave. Then you don’t need to act anymore. My key point here is to drink the Kool Aid at work. Tell everyone you meet how wonderful the place is, how great the products or service is, and what a great person your boss is. Be surprised when outsiders say something negative. Be disapproving when insiders talk negative. Be the poster person for your employer. Someone told me years ago to work hard for my employer right up until the minute I left. What great advice! That’s what we all need to do with our hearts and minds as well. I recently read Stephen Ambrose’s book “Nothing Like It In the World” about the building of the first transcontinental railroad. It struck me that there was lots more Kool Aid drinking going on there than I see today. Is that one reason those people did amazing things? Is this a missing ingredient in your organization? I see it missing in many places and it creates mediocrity where there could be excellence.